Thank you Paleophilatelie! 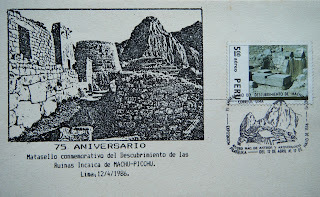 Souvenir sheet of the Machu Picchu 'discovery' centenary. Thank you Juan! 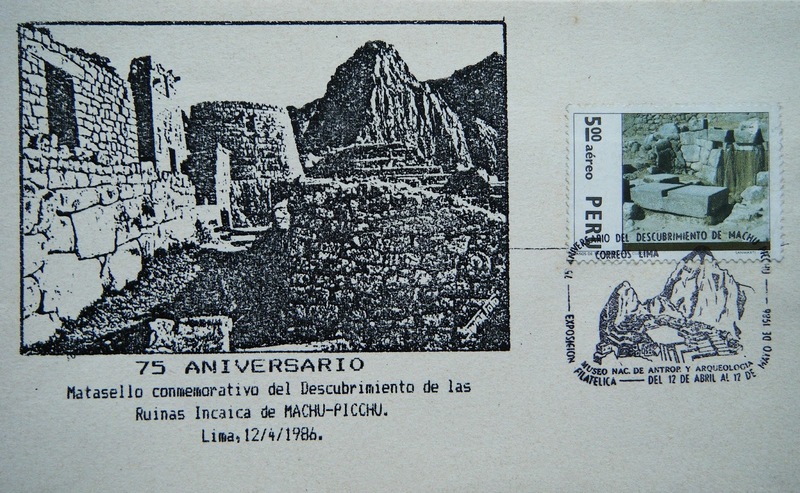 Philatelic cover with the Postmark and cachet for the 75th anniversary of the 'discovery' . The Postmark advertises a philatelic exhibition, at the National Museum of Arch and Anthropology. Thank you Heidi for this postcard!